The Baby Products Association (BPA) is calling for entries to its 2015 Concept & Innovation Awards, where budding designers will not only receive recognition for innovative baby product ideas, but potentially a platform to market too. The deadline for entry is 5th January 2015, after which shortlisted entries will be invited to London to present their idea to a panel of judges, who are all experts in the baby products industry. 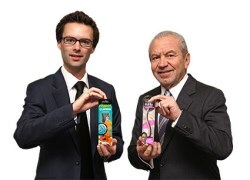 This year they will also be joined by 2011 BBC’s The Apprentice winner Tom Pellereau, which among his many inventions is the Stylfile Nipper Clipper which safely cuts babies’ and children’s finger nails. 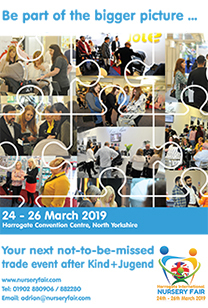 Four finalists will be chosen – two with Concepts, which will be product ideas still in their visionary stage; and two with Innovations, which may almost be market ready, but must not be on sale prior to 29th March 2015. 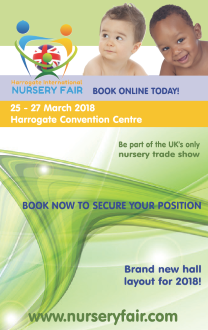 These will be invited to present their entries to the entire nursery industry, including major nursery buyers, at Harrogate International Nursery Fair from 29th to 31st March 2015, where the winners will be announced. Last year, the Innovation Award went to Jonathan Feingold and Marc Kelly of CuddleCo for the revolutionary Doona – an Isofix car seat which has fold out wheels converting it instantly to a pushchair and which went on to receive awards internationally and is now widely on sale. The Concept Award went to Tom and Tamar Clarke with an innovative Bag Rider design – an airline cabin bag which has an integrated seat to sit baby on once their pushchair has been checked in. The Concept & Innovation Awards are open to everyone from university students, entrepreneur mums and dads, to companies with new product ideas. Download full information and entry forms here.